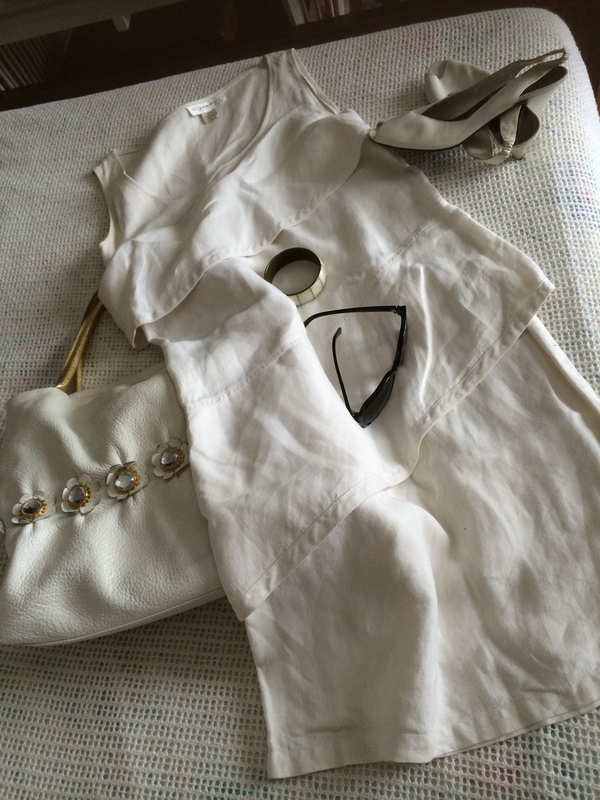 A Classic Summer Linen White Little Dress – Understated Italian Style. "Tips when In Milan so as not to feel a sore thumb among them. They have quiet admiration for those who "got it" as their understated rule's codes on how to dress. Conformity is key. Other cultures the more uniquely put together one is, the better. Not the case in Italy, especially in Milan. Admittedly, today it is not as much applied as in the past. But, understanding the Italian approach to fashion is equal to embracing the world's most elegant and cultivated form of self-presentation. Who wouldn't want to master that?" A white linen dress, semi business or luncheon and even a chic dinner wear. I wore a similar one and got a compliment from an Italian lady. It’s in my wardrobe for 29 years. Timeless!